We all love to get away from our hectic lives. Vacations are a great way to take things a little slower and relax. But they are far and few between. Your own master suite can be your private luxury hotel getaway, if you take the time to make it special and include the features you would find at a 5 star resort. If you are looking to create that resort, spa feeling in your bath, consider the following as must-haves: Deep Soaking or Therapeutic Tub: Nothing says relaxing like a hot bath. Many of us could spend hours just soaking and letting the problems of the day disappear. If you are remodeling or building, this is a great time to upgrade to, my favorite, and an air tub. Imagine 50-60 small jets of warm air caressing your body, with a heated backrest and even Chromatherapy. Just the thing to soothe aching muscles and quiet the mind. It is important to find a tub that really fits you. Too small and you won’t be comfortable; too large and the tub will cool too quickly. Also consider faucet placement. You want it to be within easy reach both before you step in and also well placed once you are in the tub, in case you want to add more water during your long soak. 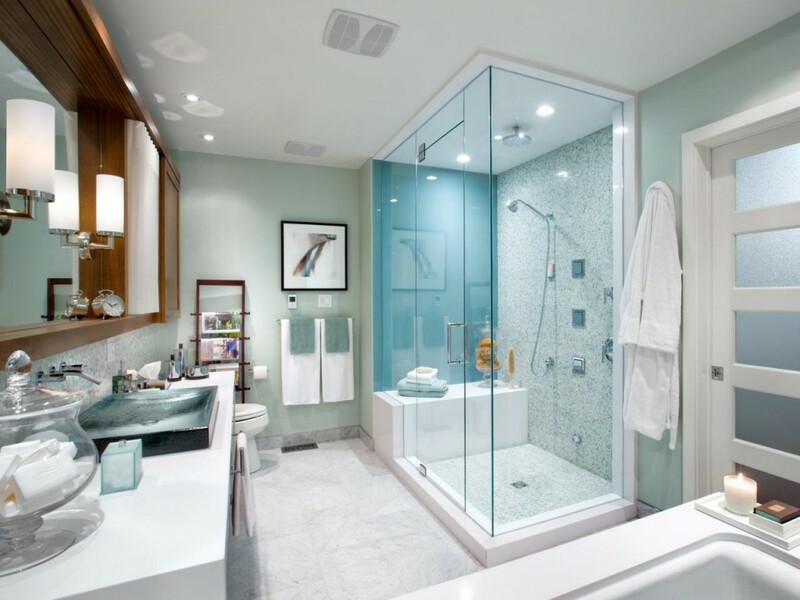 Invigorating Shower: If a tub bath is not your thing, or if the space doesn’t permit, consider a shower with all of today’s great features. Rain heads, body sprays and pulsating shower heads can create a shower experience that is truly all about luxury. If your shower is larger than 3ft x 4ft, consider adding a bench for sitting. This is a great feature for shaving your legs or for relaxing as the water soothes your body. You may want to consider a steam unit for your shower, for the ultimate in spa treatments after a long hard day of work or working out. Make sure to include built-in recesses in your design near the main shower control for the soaps and bottles of product that you will be using in the shower. That way they are always right at hand and yet neatly tucked away. Heated Towel Warmer: Just thinking about a warm towel makes everything feel better. Today’s models come in a variety of styles and finishes, with timers to coordinate with your bathing schedule. You can find models that are wall mounted or floor standing and that plug in or can be wired directly. Just remember to place it handy to the tub or shower for easy reach. 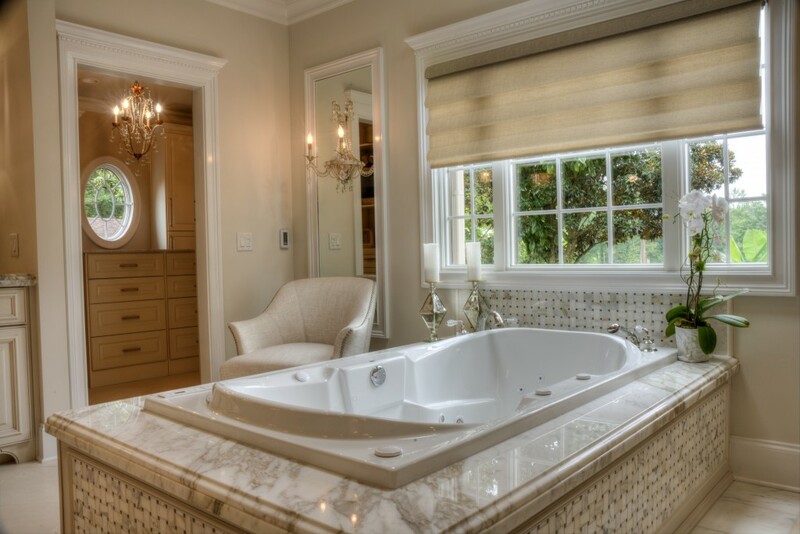 Great Lighting: Generous and correct lighting is a must in any bath. You want it to be easy to see and to have the lighting placed so that it is the most flattering to you. 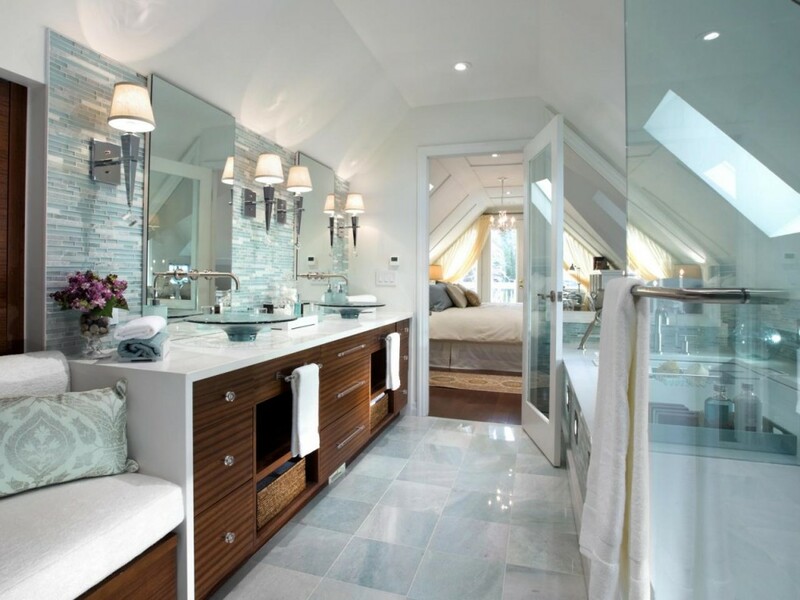 Lighting fixtures can be the jewelry of the bath and give it great style but it must be functional as well. I always recommend 3 layers of light. First, overhead, general lighting to light up the room and provide good illumination for cleaning. This can be in the form of a hanging center fixture or recess lighting spread accordingly around the room. Second, task lighting in the form of sconces mounted at eye level on either side of the mirror to illuminate your face evenly for makeup and shaving. Finally, accent lighting in the form of recess spot lighting to accentuate a special feature , such as a freestanding tub or a piece of wall art. Great Towels: Like every great resort, your bath should have the finest of towels. There is nothing likethe feeling of getting out of the tub or shower and wrapping yourself up in a big fluffy towel. 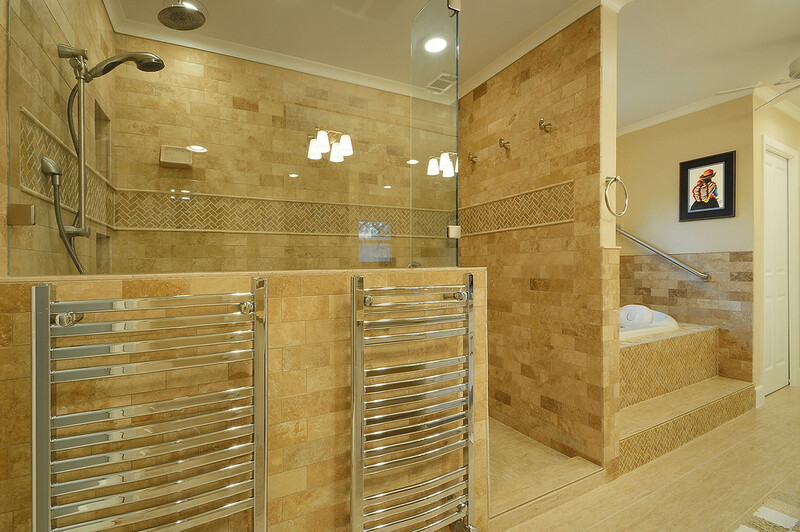 Selecting the right towel is crucial to completing your spa bath experience. I like to select an oversized towel for extra comfort. While you are at it, why not purchase a thick plush bath robe as well to complete your spa experience. Lotions, Potions, and Fragrances: To compete your spa bath getaway each day, you need the right products. Consider bath oils for your air tub, body scrubs and bath gels for the shower and essentials oils for the steam shower option. Candles in your favorite fragrances and moisturizers for your skin are uplifting to the senses and make your mind and body feel pampered. Place a small basket or tray conveniently on the counter and fill with your favorite products and even the samples from other hotel stays and use them each and every day. They are a small cost and can make your bath experience so much more special. Your bath is a very important room. It is where you begin and end each day. Make it a special experience with some of these recommendations and you will enjoy 5 star living every day.